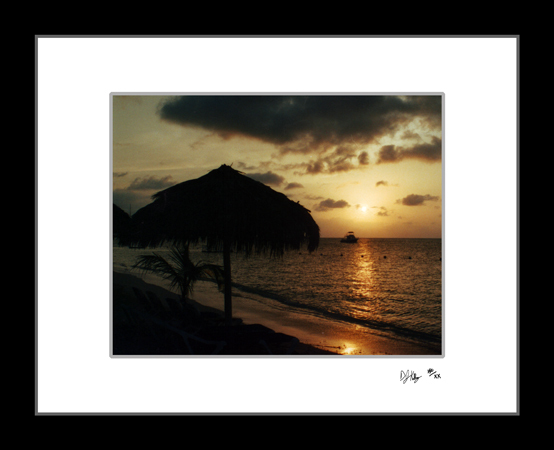 The Sunset at the Beach photograph was taken at Montego Bay in Jamaica. The sun setting, the umbrella silhouette, and the orange sun make this photograph a great memory of Jamaica. The only element missing from this photograph is the warm breeze blowing through your hair and the sand in your toes.